The Roman invasion, the Danish marauders, the Saxon settlers, the Norman Conquest, the Industrial Revolution, the World War 2 blitz and the IRA bombing, Manchester has endured and survived them all, rebuilding and reinventing itself for over almost two thousand years, to become the vibrant modern metropolis that it is today. Its streets and its architecture tell its long and fascinating story. Manchester’s first century AD Roman past can be mainly seen in the reconstructions of walls, stables, barracks, granary and gardens at North Gate, although excavations have uncovered defensive ditches and Salford’s Camp Street marks the site where the first tents were pitched. 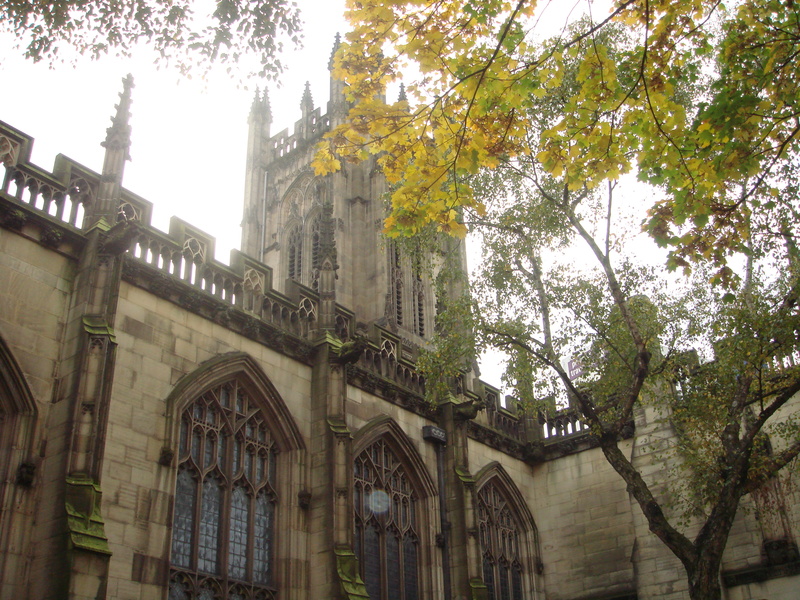 The only relic of Saxon times is the Angel Stone, which is mentioned in the Doomesday Book and was the foundation stone for the Church of St Mary, built at the end of Deansgate in the 8th century. The Danes 9th century legacy is found only fragments of language like “gat”, Danish for “street” found in today’s Millsgate and busy, commercial Deansgate. The Norman Conquest and settlement of 1066 has left more behind it. The historic area of Castlefield, where the Norman town was established, still remains as a vibrant and picturesque part of the new city. In the lands surrounding Manchester, Norman manors and castles still stand. The names of those early Norman settlers are prominent in the establishment of early Manchester, like Thomas de Gresley, whose son was granted the Great Manchester Charter, in 1301. It was De Gresley’s medieval successors who built the 15th century Hanging Bridge, founded the Chetham’s Music School library and established the Collegiate Church, in 1421. The Arch and the west wall of the Mediaeval Collegiate Church still stand within the tower of the present Manchester Cathedral.